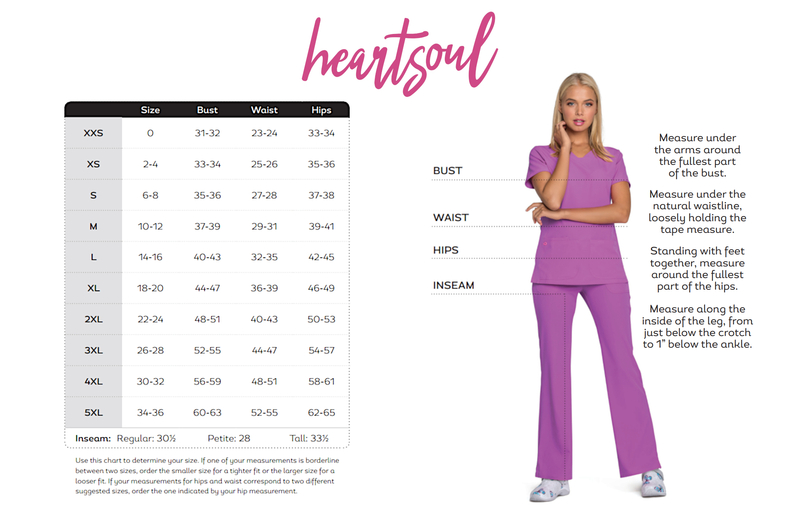 Contemporary fit, low rise, straight leg pant features nine utility pockets, an elastic waist with an inside drawstring and wide belt loops. Front patch pockets have extra exterior pockets, two cargo pockets and two back pockets. Left front patch pocket has an elastic bungee loop; right exterior pocket has a functional tab with snap; right cargo pocket has an exterior triple pen holder. Pant also has multi-needle contrast topstitching and front motion knee darts. Regular inseam: 30½". Petite inseam: 28". Tall inseam: 33½". This v-neck top features two patch pockets with instrument slots and a bungee loop above the left pocket. Also features are multi-needle contrast topstitching and side vents. Center back length: 26". 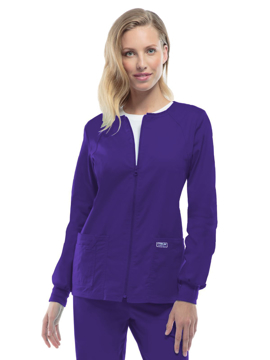 This darted v-neck top features two lower tilted pockets (including one WonderWink signature triple pocket), front body darts for superior shaping, triple-needle stitching at the dropped shoulder, WonderFLEX LE badge above left pocket corner, and side vents. Center back length: 27¼".